AmpliVox has just returned from the infoComm15 Conference and Exhibit that was hosted at the Orange County Convention Center in Orlando Florida. With more than 38,000 attendees, infoComm is the largest, most comprehensive and best attended professional audiovisual trade show in the U.S.
We had the pleasure of having rAVe stop by our booth and shoot a few product demo videos which they have posted on their site and YouTube channel. rAVe [Publications] is a news organization that provides coverage of the commercial and residential audiovisual trade industries via e-newsletters, blogs, video, social media, and a variety of other mediums. Dan Kreusch from AmpliVox gave rAVe the exclusive first look as he discussed all the new equipment and furniture offerings showcased at our booth. Our four horn line array hailer is easy to setup and use and makes broadcasting at community events and activities easy. A small footprint but a very powerful sound. The four horn speakers are powered by a 50 watt battery powered portable amplifier and are capable of producing 124 dB at one meter at full output. With up to 200 hours of talk time with 10 D Cell batteries this works great for any indoor or outdoor sporting or community activities. The big change in this lectern is the increase in power from 50 watts to 150 watts and a built-in Bluetooth receiver that allows wireless streaming from any smart device, any background music you like to use to warm up your crowd or reinforce your presentation. It has fingertip controls right on the reading table surface that allow you to adjust the microphones gain level individually as well as the wireless mic receiver and Bluetooth module. Build in the USA and backed with a 6 year warranty, these are available in a number of colors and a number of styles. The new Half-Mile Hailer has an all-weather case, I has the capability of having up to four wireless mic modules as well as a Bluetooth module and a wireless speaker transmitter built into it. The 50 watt amp can power they system for medium sized crowds indoors or out. Made in the USA and backed with a 6 year warranty. Chicago Blackhawks fans packed downtown and into Soldier Field Thursday for the championship celebration honoring the team's third Stanley Cup title in the last six years. Congrats to NHL Chicago Blackhawks! They celebrated a Stanley Cup win with our Acrylic lectern. The weather is warming up and the summer season is nearly upon us. 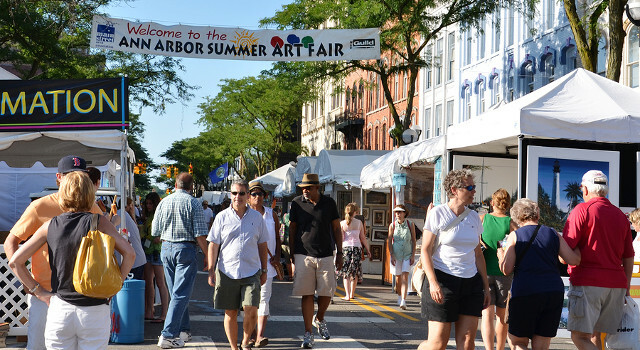 Cities across the country will soon celebrate the great weather with festivals, concerts, and art fairs. 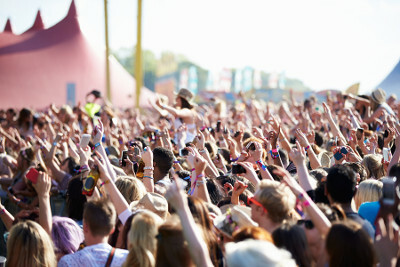 Such outdoor events mean hours of fun for participants, but their large-scale nature can present unique communication challenges to organizers. With music playing, and hundreds, even thousands of people dispersed across great distances, how can you communicate to the masses and provide direction at a moment’s notice? Fortunately, AmpliVox Sound Systems can help through our 2015 Nationwide Megaphone Donation program. 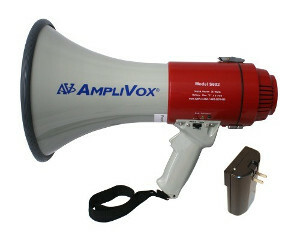 The AmpliVox Nationwide Megaphone Donation program offers a free S602R Mity-Meg Rechargeable Megaphone for organizers of concerts, community festivals, art fairs, and more to demonstrate the effectiveness and convenience of one of our most popular products. Now you may be wondering: a free megaphone? 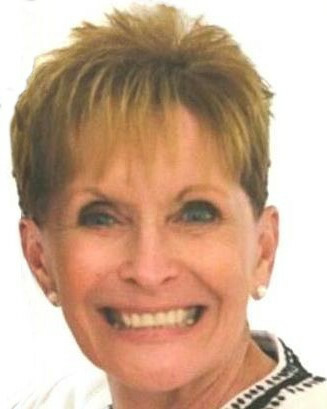 Once you receive your Mity-Meg, we would love to see it in action! Send us a photo or two of the megaphone in use at your event or headquarters, and we’ll share it on our social media pages and website, along with a shout-out to your organization. Connect with us on Twitter @AmpliVox, Facebook, and Instagram. Simply visit the Megaphone Donation program page on our website, send us a few details about your event, and await your free Mity-Meg Megaphone. AmpliVox will even ship the product free of charge. • Ultra Lightweight at 2 lbs.